Ex-senator is confident that his All Day Convenience Store can compete head-on with giant rivals. 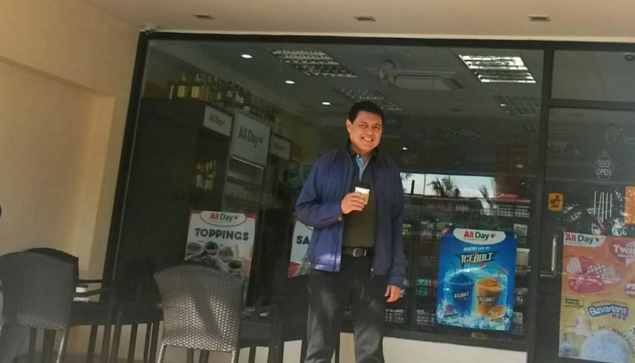 7-Eleven, FamilyMart, and Ministop don’t scare Manuel B. Villar Jr. 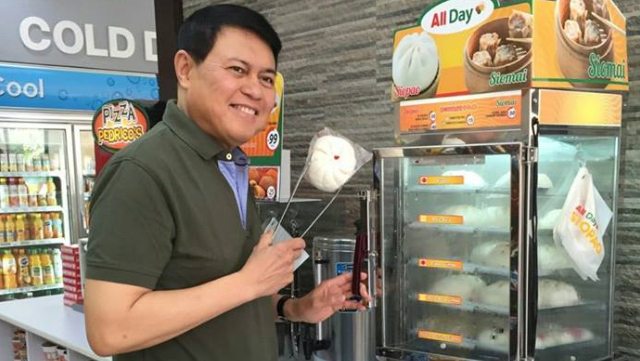 These foreign convenience store chains may dominate the segment, but the former senator feels his group’s All Day Convenience Store, the only wholly Filipino-owned brand among the lot, will still be able to compete. But All Day has a lot of catching up to do, with 7-Eleven having close to 1,200 stores nationwide, while Ministop has 500, and FamilyMart, 100. Still, All Day plans to go head-to-head with the foreign players by offering quality food tailored to the Pinoy palate. “I’m not a believer in foreign brands, I am a believer in Pinoy brands. We were in this ahead of FamilyMart, but we started quietly. Ngayon lang kami nag-iingay because we wanted to perfect everything from the light bulbs to the food to the business model,” says Villar. 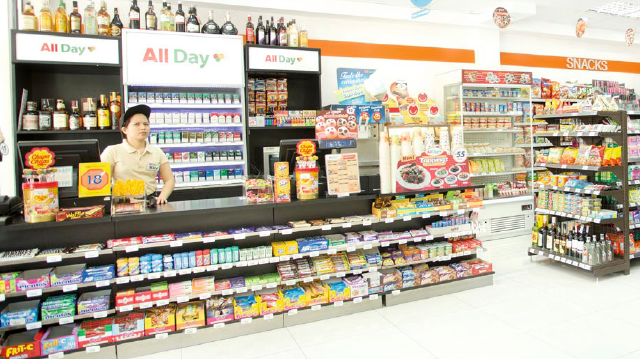 The Villar Group’s first foray into the segment was with Finds Convenience Store in 2008. “It was one of our small and experimental companies. All Day is the serious attempt,” says Villar, chairman of All Value Holdings Corp., All Day’s operator. Seeing the potential in the segment, the Villar Group decided to rebrand Finds into All Day. They now have a network of 85 stores, 40 of which were converted from Finds. They plan to add 15 more stores soon. Villar plans to build All Day stores within the group’s real estate projects, like Camella Homes and other properties. “We were doing it slowly before. But now that we have the ideal business concept, it goes on from there. You’ll see. We’ll be surrounding communities, cities, and CBDs [commercial business districts]. We will put up branches in as many corners as possible,” he says. Since the real game in convenience stores is the food offerings, All Day created its own food options. Villar notes half of their stores’ income comes from the sales of in-store food items such as siomai, siopao, sandwiches, and rice meals. The brand is also more aggressive in marketing the franchise, even waiving franchise fees and royalty fees. Inclusions: Leasehold improvement; shared investment in furniture and equipment; merchandise; store development; training; marketing support; ordering and delivery system. This article was originally published in the April 2015 issue of Entrepreneur magazine. To subscribe, click here.